They are moments in fashion shows where your heart shouts, please!! give me this coat now! I need it :). 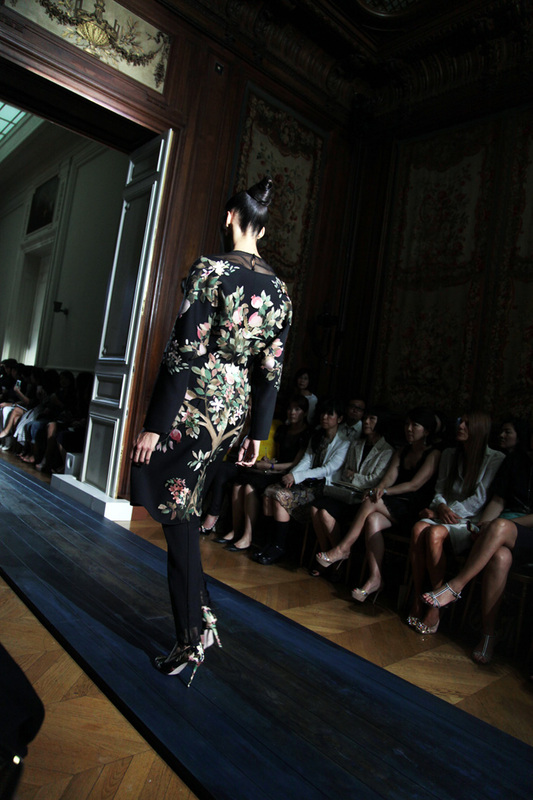 Even though I see many amazing things it does not happen to me that often, but this Valentino Haute Couture FW 2012 coat did wink to my heart and the flower loving me, I am a huge fan of Valentino, I would happily be their spokesperson (yes! I know I am not alone in the thought) but I mean it, they are not paying me to day it, in these crazy world those brands that sublime your feminity in an elegant way, they rock! In the mean time I will put this one in my vision board and wish list, I truly believe anything can happen :), and so should you ! ;).